We are excited to welcome Joy Again and Arthur as the newest additions to Ground Control Touring’s artist roster! Joy Again is a Philadelphia based 5-piece founded in 2015. The band, whose founding members met in boarding school, has released debut singles on Mom + Pop (U.S.) and Lucky Number (U.K.). Their latest effort, EP was released on Never Grow Up Records in early 2017, followed by a supporting East Coast U.S./Canadian tour. 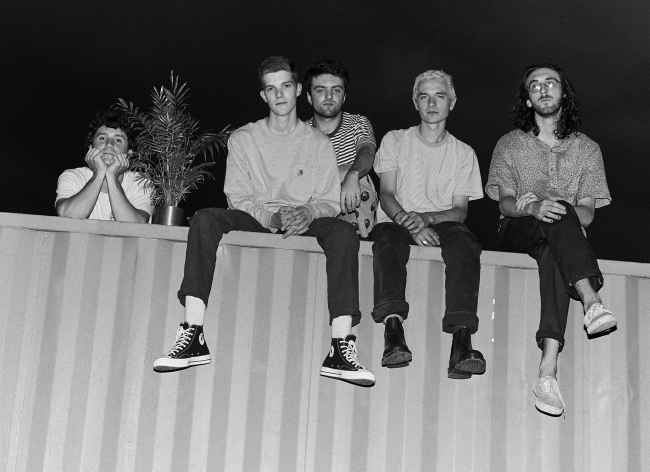 They have performed alongside acts like Car Seat Headrest, Hinds, Daywave, and Hoops, making festival appearances at 35 Denton, Savannah Stopover, and SXSW. Their association with Engineer/Producer Caleb Laven (Frank Ocean’s Blonde & Endless) and visual artist AXIÖM Lë FØU has helped drive their creative vision and propel their artistic output beyond the underground. A member of Joy Again, “Manic” is the only word Arthur gives to describe his mindset going into recording his debut album, Woof Woof. An isolated year and a half spent in the woods of Delaware County, Pennsylvania, allowed Arthur to channel that manic energy into nothing but his most ambitious project yet. Keep up with Joy Again and Arthur on their artist pages for shows, dates, and news.